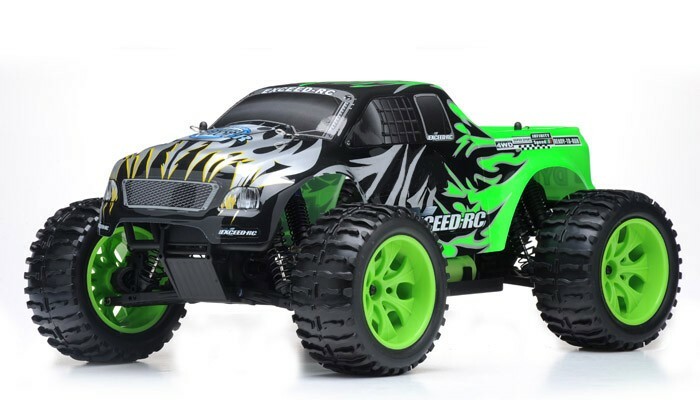 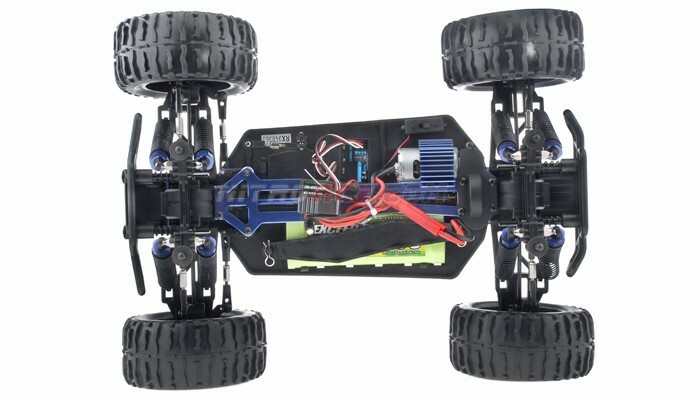 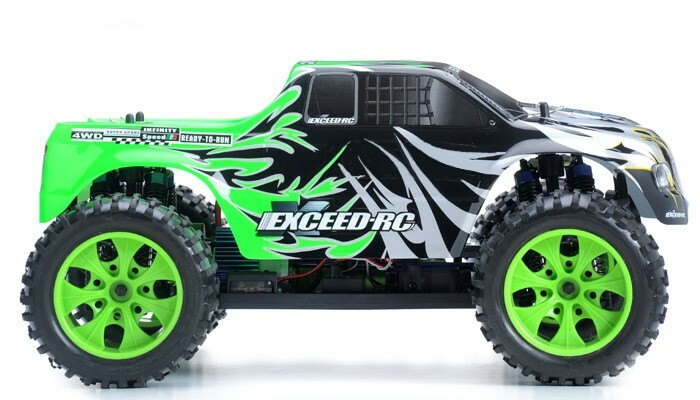 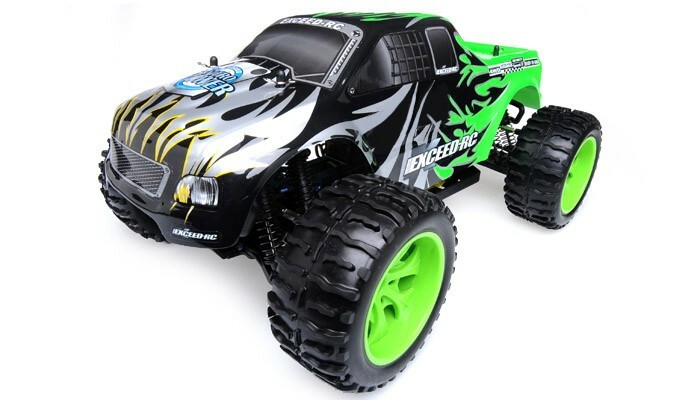 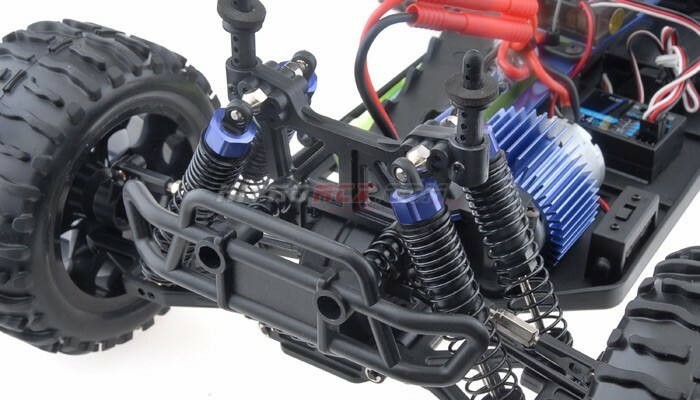 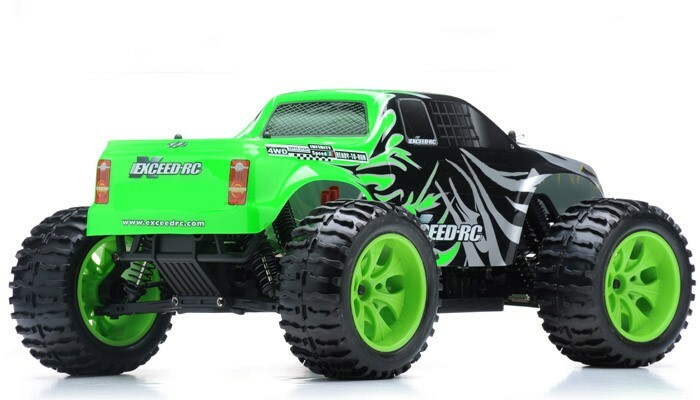 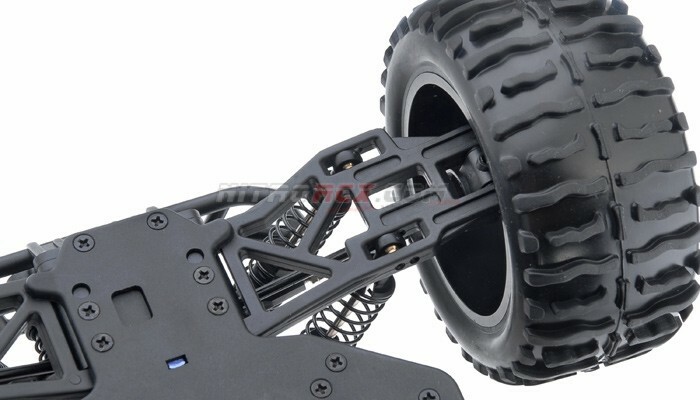 The Exceed RC Infinitive EP Monster Truck is packed with loads of features that will provide hours of action packed off road smashing. 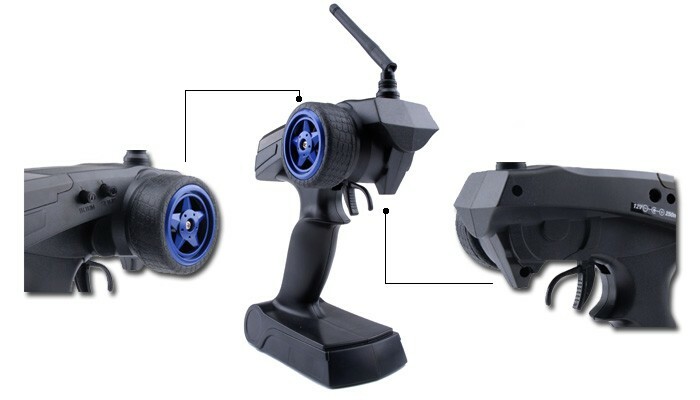 The 2.4ghz transmitter and receiver system ensures you will have excellent communication between driver and vehicle. 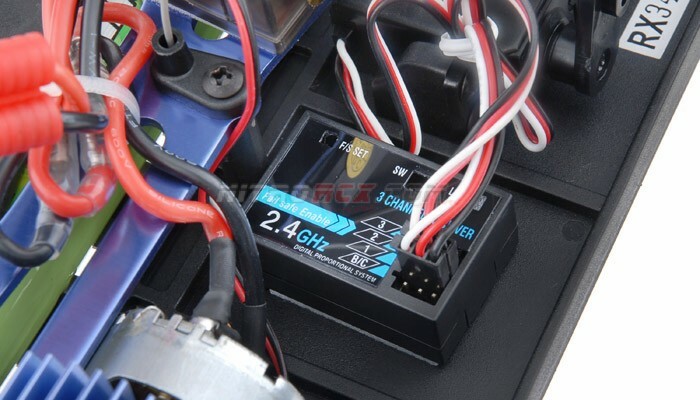 The transmitter also allows dual-rate adjustments for throttle and steering so you can fine tune the power delivery and steering control of this truck. 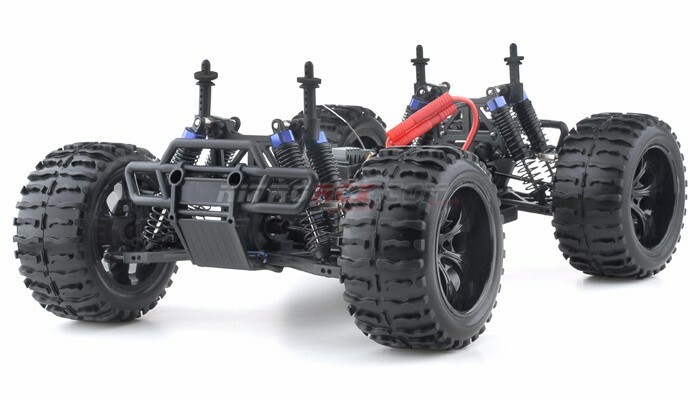 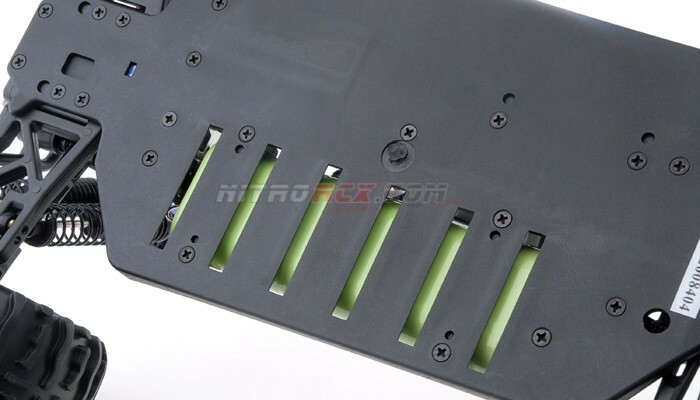 The power-train is reinforced and will handle extreme terrain. 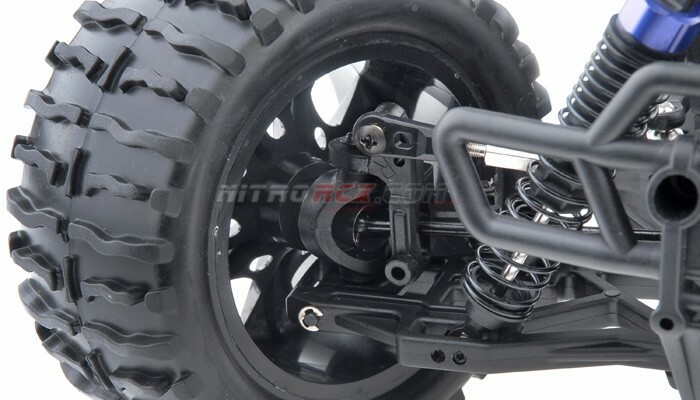 Metal geared front and rear differentials are driven by an aluminum center driveshaft and distributes the power to all four wheels. 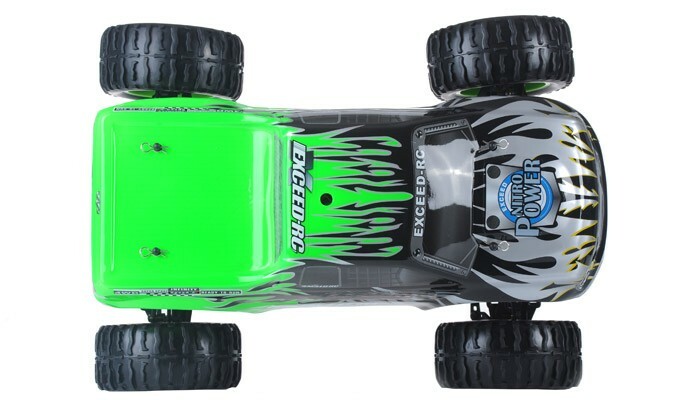 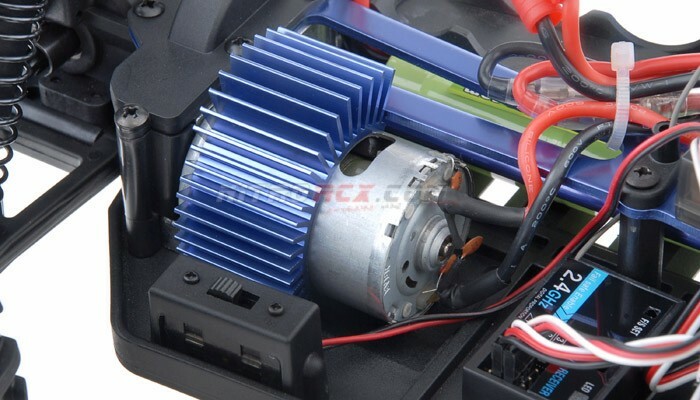 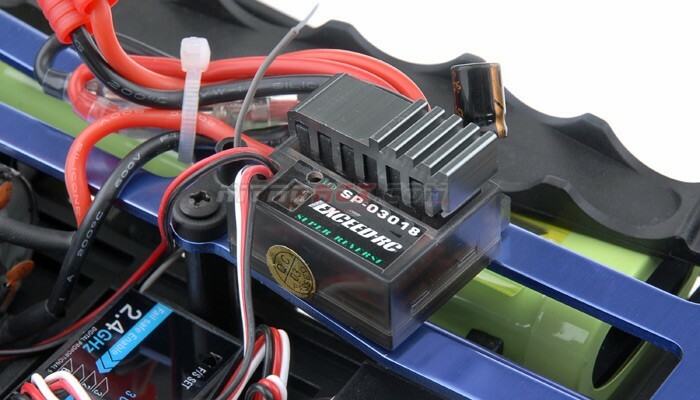 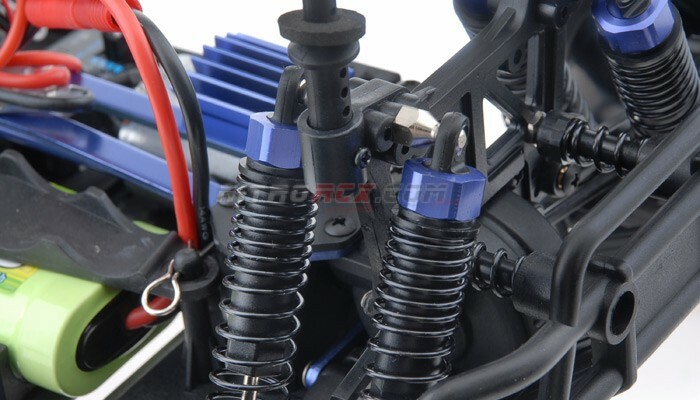 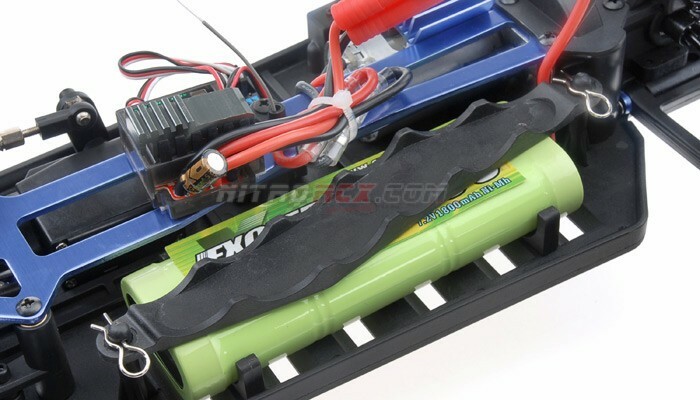 The power department is handled by a brushed 540 motor and supported by a 7.2v 1800mah Ni-Mh battery with charger included. 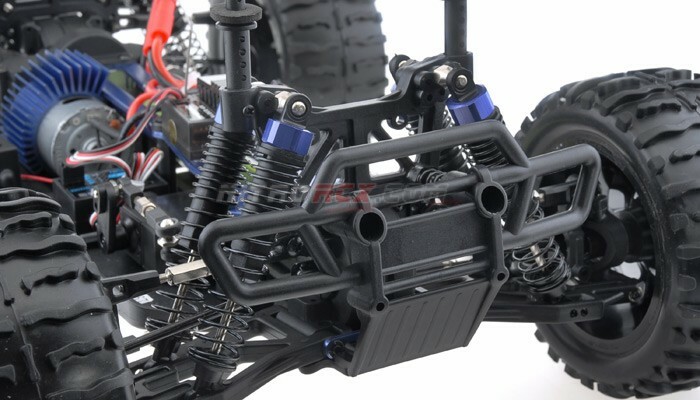 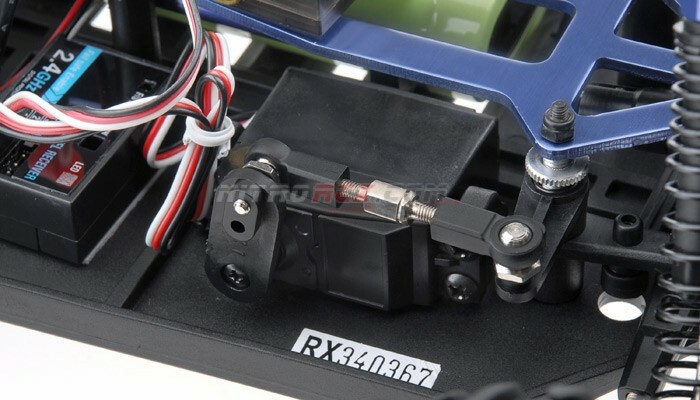 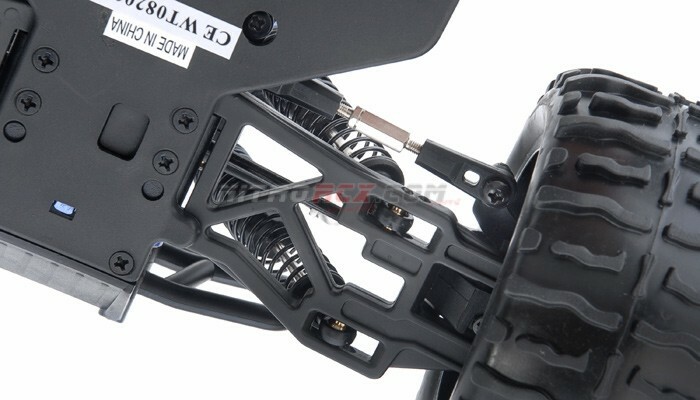 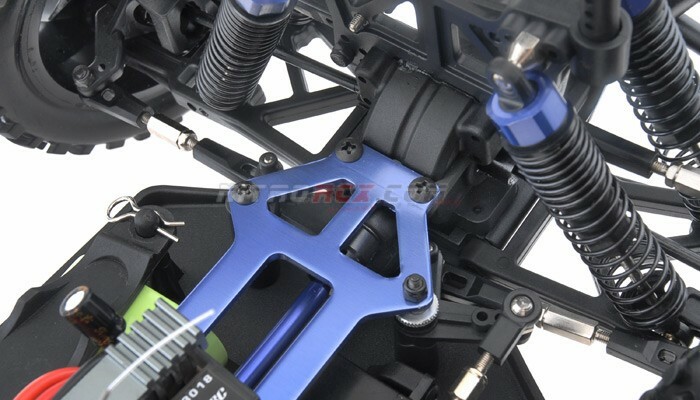 Camber and toe settings are adjustable via turnbuckle linkages which allow you to make precise adjustments for the terrain your truck is smashing through. 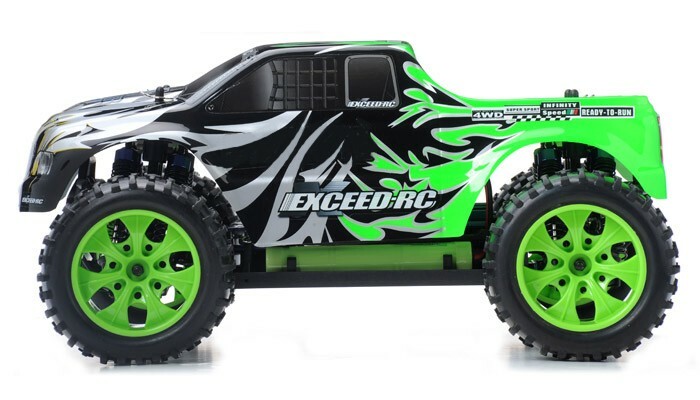 The high ground clearance paired with the large wheels and tires ensures this truck climbs through the toughest obstacles. 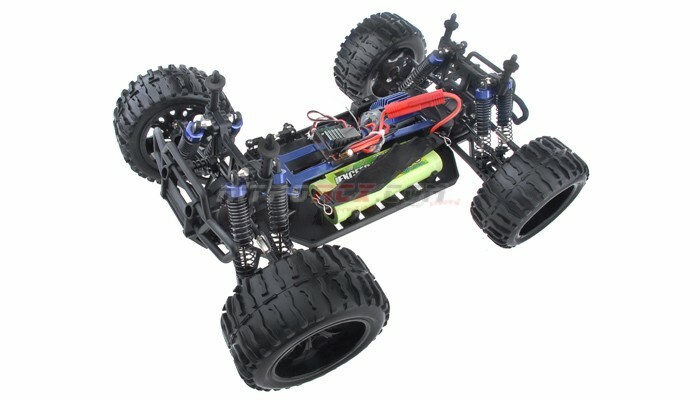 This truck comes out the box completely ready to run with the exception of 4 AA batteries for the transmitter. 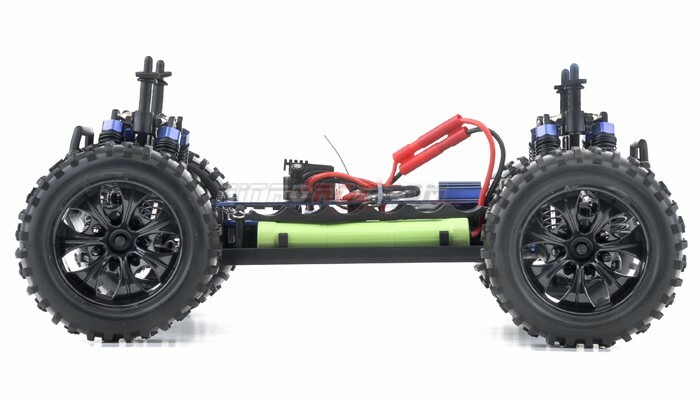 Simply pull the truck out, charge the battery and your ready tame the unknown.